We’re delighted to share MLS CEO Annie Ives’ feature in the Power Players section of Angeleno magazine’s June 2016 issue. 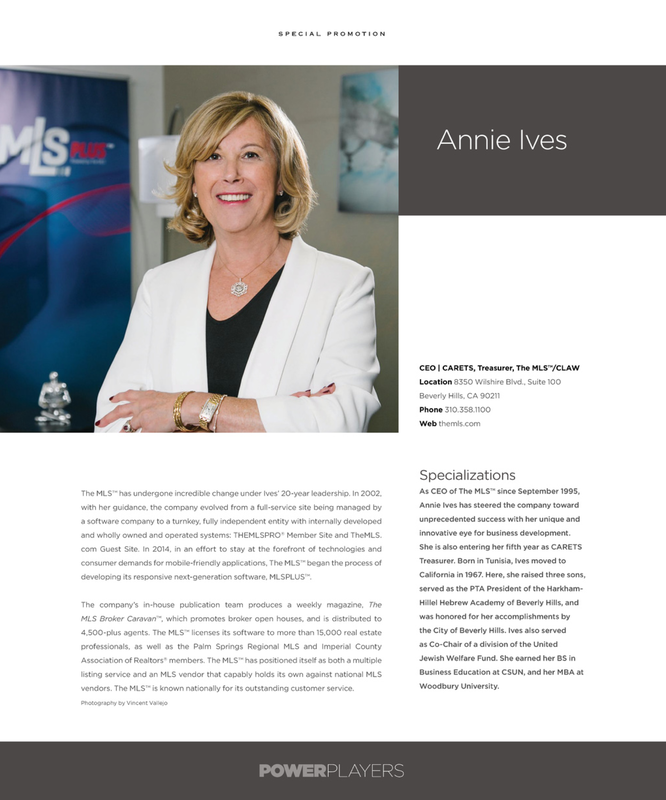 The publication showcases Ives’ extensive experience with The MLS, as well as her instinct for innovation in MLS technology. CLICK HERE for the full issue of Angeleno.